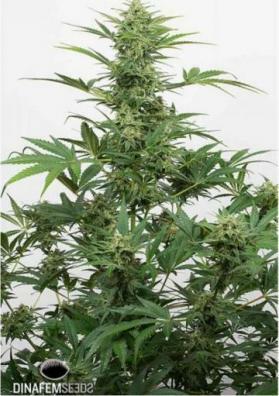 Sour Diesel Auto is an autoflowering Marijuana strain from the Diesel family. It develops vigorous and very fast plants. Sour Diesel Auto has a very attractive taste being a mixture of different hints. 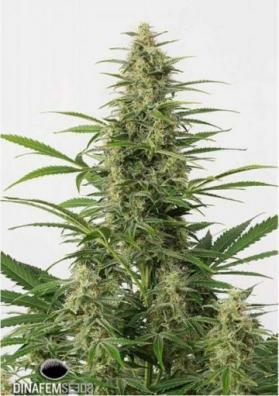 Sour Diesel Auto is an autoflowering Marijuana strain from the Diesel family of Dinafem. It was created by crossing Haze 2.0 Auto and Sour Diesel being perfect for those who always liked this hybrid and can now grow it faster. This strain belongs to the Diesel family being very famous for its organoleptic properties. Indeed, it has an excellent aroma and taste being recommended for expert tasters. 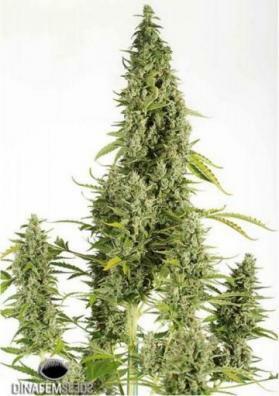 The resulting plant is able to reach moderate heights, having a vigorous growth and a very fast flowering. It is very easy to grow and very suitable for indoor and outdoor cultivations thus being recommended for all kinds of growers. The aroma and taste of this plant do not go unnoticed having a clear and strong tone. In fact, these are the main features of these Diesel strains, harboring a background of kerosene, citrus and wood. 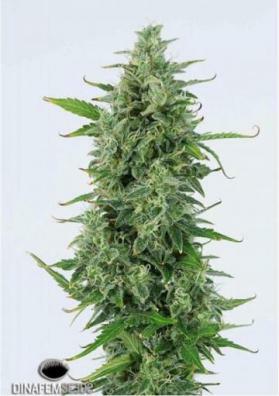 Sour Diesel Auto provides a very balanced and durable effect which stimulates you to have pleasant conversations. This strain has a full cycle of only 70 and should be grown from April to October in the northern hemisphere or at any time on indoors. In a growing room and with optimal growing conditions, the yield of Sour Diesel Auto is up to 450g per square meter. In the outside, the yields can reach 170g per plant. For a correct development we recommend to add 30% of coconut fiber to the soil, thus ensuring an extra supply of oxygen to the roots and a better metabolization of nutrients during cultivation. It is quite sensitive to over-waterings but tolerates fairly well the use of fertilizers.